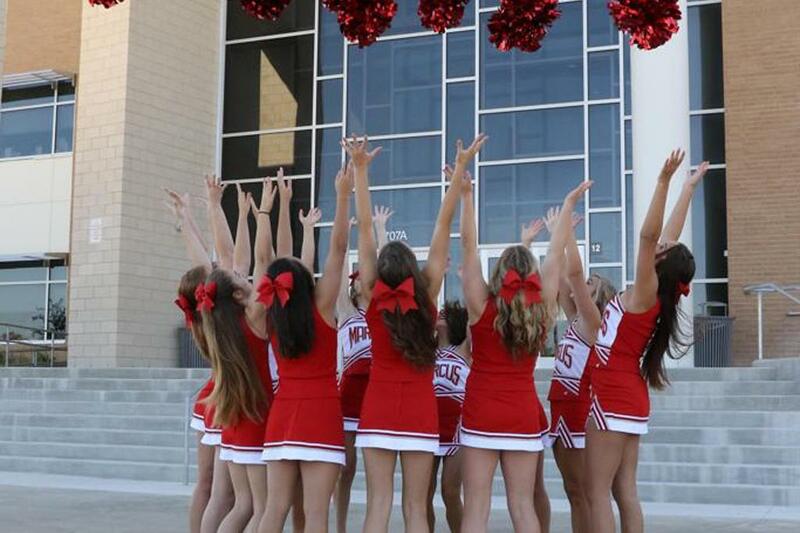 MHS Cheerleading squads will create, promote, and uphold Marcus High School spirit in accordance with school rules. Cheerleaders will plan and initiate activities that will promote student body and community support and involvement in the promotion of athletic events and school activities. Homecoming, Battle of the Mound, and Battle of the Axe tshirts are on sale NOW. Order yours.